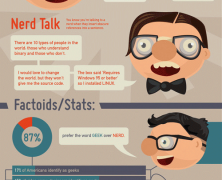 The legendary battle between geeks and nerds has been around for many decades. Find here some history and finally which persona ou belong to. Don’t be afraid of the truth!